Water sports are increasing especially in elderly population sectors who have suffered some kind of muscle or bone damage. We at present have the following Heated Pools in Tennessee, but we are always grateful for any corrections or contributions. Get in touch by way of our get in touch with form. Please have a look to the Swimming Pools swimmers like you could have reported. Is your pool not listed? Contact us to ADD IT. It's absolutely free! Looking for Heated Pools in Tennessee? Quite a few of them belong to gyms or sport centers which also supply lessons. Are you on holiday and would like to maintain fit and healthy? 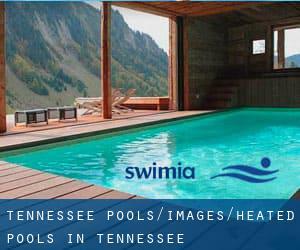 Swimia.com offers you the simple and quickest solution to uncover pool near Tennessee. Not all countries are the identical, and swimming regulations and rules are changing from one country to a further. Holding an estimated population of 646.889, Memphis is among the most important cities in Tennessee. Check all the Swimming Pool in Memphis and its surrounding area. Let us tell you a secret to switch off when you are in Knoxville: just choose a Pool in Knoxville and plunge into the water! There's no much more helpful strategy. Without a shadow of a doubt, swimming in Nashville-Davidson (balance) is the ideal way to unwind right after function. 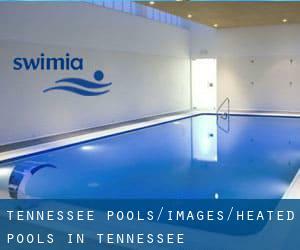 Take a couple of minutes to browse Swimia's catalog to find a Pool in Nashville-Davidson (balance). Updated on 2019 2624 Gallatin Rd. , Nashville , TN , USA (Postal Code: 37216). Among all of the activities supplied by the center, if you are considering swimming you can appreciate 25 yards x 20 feet, 4 lanes, Indoors. Just in case you want to contact this Pool just before dropping by, we only know the phone number. Updated on 2019 235 Henry Avenue , Memphis , TN , USA (Postal Code: 38107). Among all the activities offered by the center, if you are considering swimming you'll appreciate 25 yards, 6 lanes, Indoors. Just in case you would like to contact this Swimming Pool prior to dropping by, we only know the phone number. Updated on 2019 205 N. Thompson Lane , Murfreesboro , TN , USA (Postal Code: 37130). This sports center provides 25 yards, 3 lanes, Indoors. For this Swimming Pool, only phone number is number here. Updated on 2019 1446 Oak Springs Drive , Columbia , TN , USA (Postal Code: 38401). Among all the activities offered by the center, for anybody who is thinking about swimming you will enjoy 25 yards, Indoors. Just in case you want to make contact with this Swimming Pool before dropping by, we only know the phone number. Updated on 2019 501 S. Royal Oaks , Franklin , TN , USA (Postal Code: 37064). This sports center offers 25 yards, 3 lanes, Indoors. For this Pool, only phone number is number here. Updated on 2019 411 Metroplex Drive , Nashville , TN , USA (Postal Code: 37211). Among all of the activities offered by the center, if you're interested in swimming you can expect to get pleasure from 25 yards, 3 lanes, Indoors. Just in case you desire to contact this Swimming Pool prior to dropping by, we only know the phone number. Updated on 2019 1301 East Main Street , Murfreesboro , TN , USA (Postal Code: 37132). Among all of the activities supplied by the center, for anyone who is interested in swimming you will take pleasure in 25 yards x 33 meters, 3.5 feet - 13 feet depth, Indoors. Updated on 2019 5101 Maryland Way , Brentwood , TN , USA (Postal Code: 37027). This sports center offers 25 meters, 6 lanes, 4 feet - 5 feet depth, Indoors. For this Swimming Pool, only phone number is number here. Updated on 2019 200 Gary Wade Blvd. , Sevierville , TN , USA (Postal Code: 37862). Among all the activities offered by the center, for anyone who is considering swimming you might enjoy 25 meters, Indoors. Just in case you would like to contact this Pool prior to dropping by, we only know the phone number. Updated on 2019 149 Union Ave. , Memphis , TN , USA (Postal Code: 38103). This sports center provides 50 feet x 30 feet, Indoors. For this Swimming Pool, only phone number is number here. Updated on 2019 1000 Church St. , Nashville , TN , USA (Postal Code: 37203). Swimmers like you reported 25 meters, 8 lanes, 4 feet depth, Indoors. Unfortunately we do not have the email address of this Pool, but we can provide you with the phone number. Updated on 2019 1320 Pactolas Rd. , Johnson City , TN , USA (Postal Code: 37604). Among all the activities supplied by the center, should you be keen on swimming you are going to delight in 25 meters, 6 lanes, Indoors. Just in case you would like to get in touch with this Swimming Pool prior to dropping by, we only know the phone number. Updated on 2019 3332 Tom Austin Highway , Springfield , TN , USA (Postal Code: 37172). Among all the activities offered by the center, if you are interested in swimming you'll enjoy 25 yards, Indoors. Just in case you desire to contact this Swimming Pool before dropping by, we only know the phone number. Updated on 2019 4041 Hillsboro Circle , Nashville , TN , USA (Postal Code: 37215). This sports center offers 25 yards, 7 lanes, Indoor/Outdoor. For this Pool, only phone number is number here. Updated on 2019 300 Shingle Way , Franklin , TN , USA (Postal Code: 37067). Swimmers like you reported 25 yards, 6 lanes, Indoors. Unfortunately we do not have the email address of this Pool, but we can give you the phone number.